Your friendly auto body location for repairing all makes and models of vehicles from passenger cars to trucks and SUVs. Your friendly auto body location for repairing passenger cars, to trucks, motorcoaches, RV's, buses, commercial vehicles and more. Coachworks offers a solution to take care of those unsightly blemishes. Paintless Dent Repair can keep your vehicle looking as new as the day you bought it and bring new life to your vehicle. PDR removes dents, door dings and creases without compromising the integrity of your factory paint finish. Often times and affordable option that can be completed in minimal time as opposed to body work and automotive paint application. How do I know if Paintless Dent Repair is an option for my dent repair needs? compromised the original paint or finish. Our staff would like to welcome your family to experience the Brown’s Collision and Brown’s Collision & Coachworks difference! 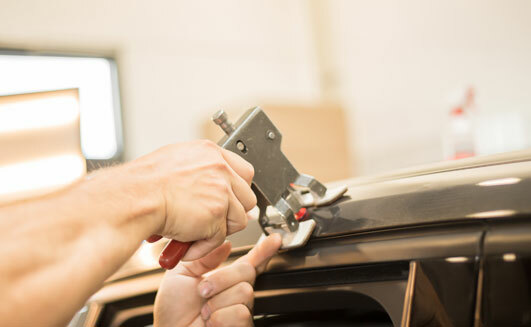 We perform quality auto body and paint repairs on all makes and models as well as offer services on larger vehicles at our Amsterdam location repairing passenger cars, to trucks, motorcoaches, RV’s, buses and commercial vehicles. Call Brown’s Collision or Brown’s Collision & Coachworks. Visit any of our 2 convenient locations and let us know what services you may need whether it’s big or small. Copyright © Brown’s Collision, Brown’s Collision & Coachworks. All rights reserved. Designed by B2B Automotive.